In a recent Appeal Board case, the FSP appealed against the FSB’s decision to debar her for five years. One of the grounds she raised was that her secretary failed to inform her of a notification from the FSB informing her of the Registrar’s intent to suspend her licence as she failed to submit a compliance report, and also did not pass the required RE 1. What is required when a KI is unable to attend to his or her functions? In terms of paragraph 1 of part (VIII) of the Determination of Fit and Proper Requirements, a FSP must be able to maintain the operational ability to fulfill the responsibilities imposed by the Act on authorised financial service providers and, must ensure that internal control structures, procedures and controls are in place. This means that the appellant had to maintain access to business communications not only during her “emotional turmoil in March and April 2015” but before and thereafter. She had to make arrangements that the FSP could function properly in her absence. It is apparent from the appellant’s version that she abdicated all oversight duties to her secretary instead of appointing a new key individual to take over that oversight functions at the FSP during her absence. The delegation of her responsibilities to her secretary did not absolve her from her duties. She remained the appointed key individual of the FSP at all relevant times. There is no provision in the FAIS Act that allows a key Individual to abdicate his/her responsibilities to another person. “Key individual” is defined in the FAIS Act as a natural person responsible for the managing or overseeing of activities of the appellant. 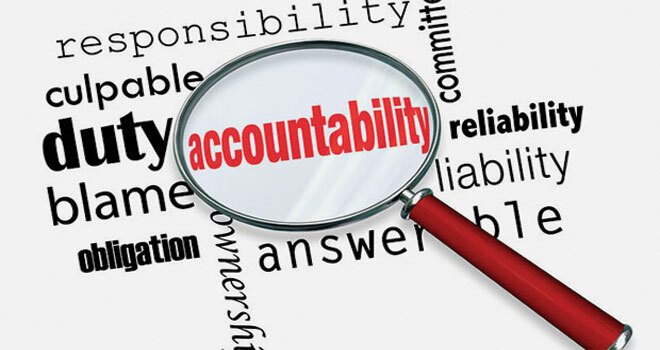 In the Appeal Board matter between Coetzee and the Registrar of July 2016, the Appeal Board stated: Needless to say, trust is indeed not restored in a non-compliant FSP who places the responsibility on others to keep close watch over her/him, ensuring that they remain compliant. That would amount to shifting the responsibility for one’s own actions on others and in this case, it does not inspire confidence that Mr Coetzee can by himself earn the trust for purposes of reinstatement. There is a clear emphasis that FAIS Act requires a key individual to be positioned internally within the FSP to oversee the activities of the FSP. “In a recent decision of the Appeal Board between WD Jonker vs The Registrar of Financial Services of November 2016, the Appeal Board stated the following in respect of key individuals: A key individual therefore plays a critical oversight role which must be performed with utmost good faith. That it shall and must protect its clients’ interests, serving with due care, skill and diligence is imperative. He/she is responsible for managing and/or exercising oversight over all activities of the FSP and the people who serve as representatives of the particular licensee. The key individual therefore has a legal duty to ensure that financial services are performed with standards of conduct similar to those of a trustee in relation to the interests of a trust. Although the Jonker matter dealt with the key individual’s lack of oversight over a representative who committed dishonest acts, the remark is equally relevant to this matter as the appellant delegated the responsibility to her secretary. She still had to account for the actions (omissions) of the FSP. Even if the appellant’s version is accepted that her secretary did not inform her about FSP’s suspension, she still had a duty to see to it that the FSP was compliant with the FAIS Act at all times. Product Provider also guilty of contravention? It appears that a substantial amount of business was written by the appellant in the year in which she operated whilst her licence was suspended. This is difficult to understand, given that a product provider is not allowed to accept business from an unauthorized person. The FSB regularly publishes details of suspensions and withdrawals. Product providers who fail to ensure that they only deal with authorized FSPs are, in fact, also transgressing the law.